Ok now this period in itself is so unique that I had to actually separate it into 3 different sections, hence why it gets its own post. The sections are Dancing, Daggering and Badman...ing. Seems pretty simple except for the fact that it does get kind of mixed up towards the middle and the end of the decade. This is what really started the Noughties period of dancehall, and from the year 2000 to 2005 (when bogle a dancer died) Jamaicans were probably as fit as possible... No really. Reason being, dancing took over. When I say dancing I dont mean like our "dirty dancing" or ballroom dancing, I am talking about really moving your body in the dancehall. 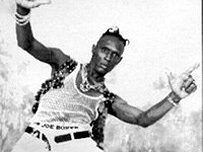 Through Jamaican dancing Icon Bogle we had a period where literally every week a new dance came about. Of course following this new dance had to be the new and innovative dancers who also came about and became popular because of the dances they did. Names like Ding-Dong, Ice, Keeva, Spongebob (now Globalbob), and Flabba Dabba, and even groups of dancers like Ravas (Ray-vas) Clavas(Clay-vas) became names that most dancehall fans knew off the top of their heads, and this wasn't they constantly produced chart topping hits or made the best riddims... Instead this was because they came up with dances. Dances like Scooby Doo, Weddie Weddie, Summer Bounce, Blaze (pronounced blah-zay), Sesame Street, Get Jiggy, Row di Boat, Lightning, Thunder, Iverson Bounce, Mad Run, Crazy Hype, Willie Bounce, Log On, Chaka Chaka, New York, Chaplin, Pon di River, Shelly Belly, Tambarine, and Call down di rain all became dances that if you didn't know, it made no sense to go to a party because you would be more or less the odd one out. Dances were about who could do all the dances and dancers became the main feature of the dancehall. Of course to match this artists also started to produce dancing music as well. The energy of the songs during this period were always consistently high. So high in fact that when you went inside a dance you could literally spend about an hour in constant movement. Songs came out which were literally medleys of nothing but dances and many artistes also saw their rise to fame during this period key of which are Elephant Man and Voicemail. To be honest Ele (as Elephant man is popularly called) was always a popular artiste but his high energy style really shown during this period as dancers latched on to his music and ate up every word. His songs such as Willie Bounce, Chakka Chakka and Signal di Plane were the highlights of any dance and everybody moved with him. Voicemail however did make their rise during this period and their songs such as Ready to Party and Just Dance gave them a rise to stardom which would've seemed unfathomable especially as most of their early songs were really dancing medleys. This high energy period of the Dancehall slowly came to an end however with the death of Dancing icon Bogle. Bogle came up with alot of the dances that had gained popularity during the period and after his death though various dancers have tried nobody could really take up the mantle and take over the dancehall the way he did. 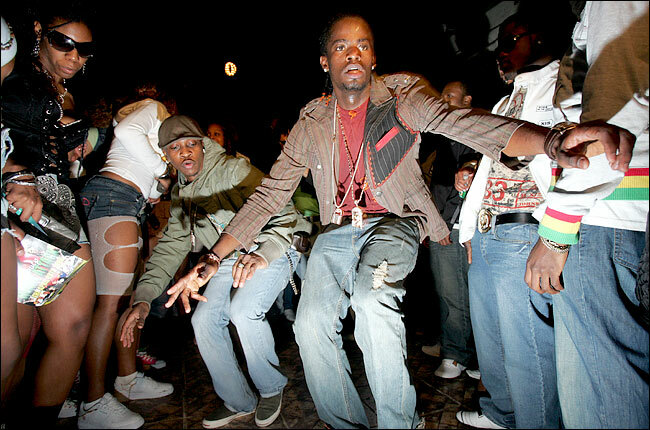 However the dancing culture has remained a part of dancehall since then and continues - though to a lesser extent than previously - with current popular dances such as the Gully Creepa, Sweep, and Nuh Linga. This period was truly an interesting and unique period in the danchall (like all the others have been) and will always hold a place in the hearts of dancehall lovers who really just love the funness of dancehall.